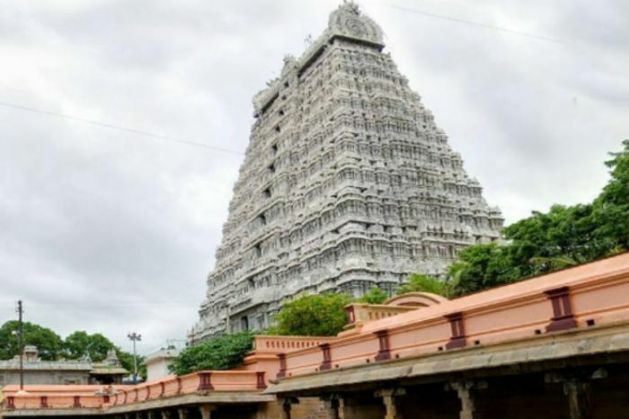 At least four people drowned in the Ayyan Theerthavari Kulam, the tank of the famous Lord Arunachaleswarar temple in Tiruvannamalai on Monday, during the Mahodaya Amavasya celebrations. Police said the incident occurred when a stampede broke out, with over 2,000 devotees jostling to take a holy dip on the auspicious occasion. Four persons identified as Punniakodi, Venkatraman, Siva and Manikandan, who were assisting the temple chief priest in the prayers, drowned in the tank, police said. Police sealed the tank entrance and rescued about 50 people. District Collector A Gnanasekaran and DIG of Police Tamil Chandran along with other senior officials rushed to the spot and oversaw the rescue operations. Bodies of the four victims had been retrieved but fire and rescue service personnel were continuing the operations to look for any more possible victims, the DIG told reporters. The priests had performed special poojas for the trident since midnight on Sunday and also for the presiding deities Lord Arunachelswarar and Sri Abhidhakujambal culminating in the 'Maha deeparathanai' (aarti). The ceremony was followed by 'theerthavari' (holy dip) early Monday morning. As the priests took the dip holding the trident, devotees gathered attempted to follow suit, triggering the stampede. Mahodhaya amavasya (new moon day) is considered very auspicious as it repeats only once in 30 years or so and a large number of people had gathered to worship their forefathers and also take a holy dip.